Tears are one of the most beautiful things in the world | Gurly's collection of quotes, notes & video's made by great people who have been sharing their enlightenment through their words and actions. 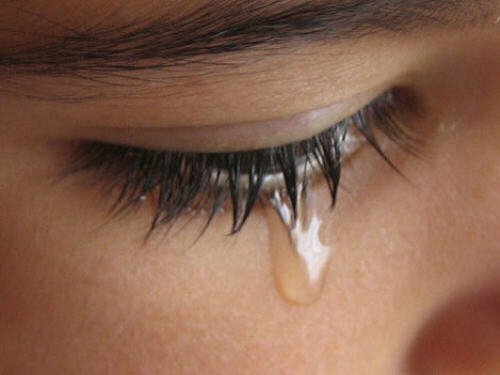 Tears are one of the most beautiful things in the world, so enjoy them and remain fragile, because if you are fragile then you are available to god. You are soft, you are porous. You function like a sponge and god is soaked in. When you are hard, nothing enters – and we have been taught to be hard so that nothing enters. The hardness is part of our defense. We are afraid: that’s why we are hard. So when you start feeling not afraid, you become fragile. It is fear that has made people like rocks – very stiff, hard, non-vulnerable – because they are afraid that somebody may enter, somebody’s love, and some tenderness may surface. They have been taught not to allow anything to enter, because if something enters, you are no more in control, so you protect yourself. This entry was posted in Life, Love, Quotes, Self development and tagged Bring soul into the world, Osho, Osho quotes, Tears are one of the most beautiful things in the world by Gurly Hafsmoe. Bookmark the permalink.